This is the Scale Aircraft Conversions (SAC) white metal landing gear replacement option for the 1/32 I-16 type 24/28 (ICM/Rev/Has) kits. If you have built in 1/32 scale you may have wondered at some point if the kit provided plastic landing gear will adequately support the model's weight. These SAC items are primarily intended to address strength concerns, but there are two other advantages to using white metal landing gear: You can very slightly bend the main strut into perfect alignment once installed, and oleos (if applicable) can be fine sanded to a very shiny and realistic finish - no need for applying bare metal foil or painting oleos if you're working with white metal. 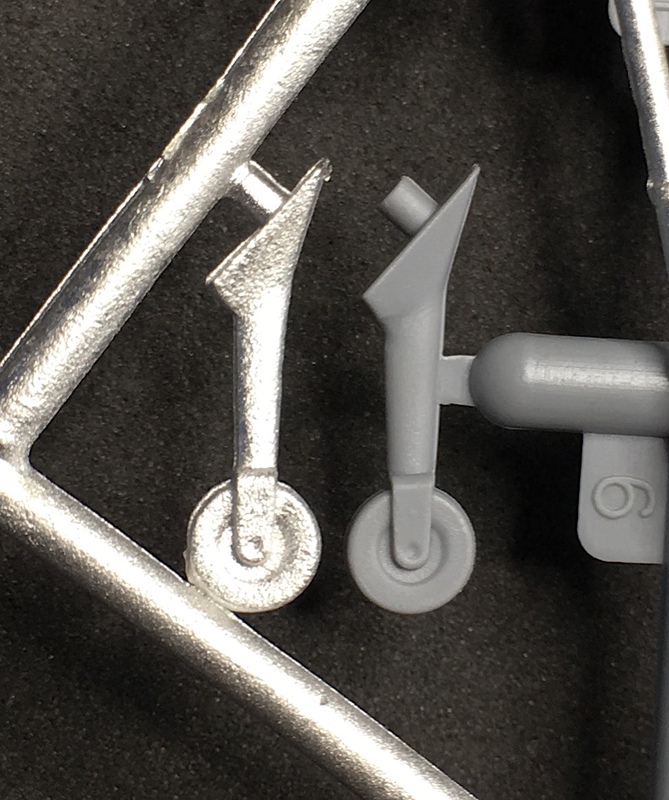 These I-16 landing gear pieces match very closely the kit molds. Clean up is minimal. 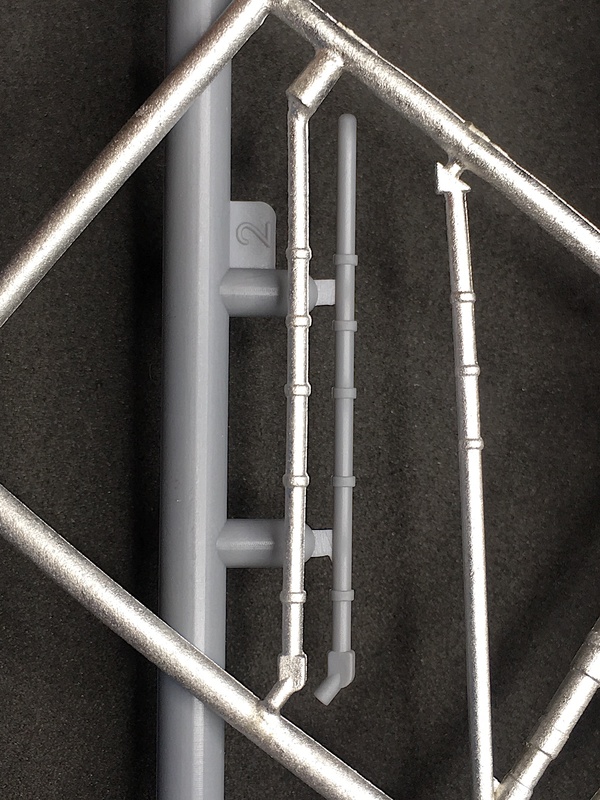 If you have a concern about the malleability of white metal and its potential to warp if introduced to too much weight, you'd have to have a very heavy model - these white metal struts are certainly stronger than plastic. Although the I-16 is such a small fighter that plastic would otherwise be fine, the main strut construct on the I-16 consists of thinner auxiliary pieces, and in general rear landing gear constructs are notorious for breaking during normal handling associated with builds. The SAC gear is a clear advantage here, and even more so if adding heavier resin aftermarket or just desiring the post-mount adjustability of white metal and its oleo polishing benefit and look. In any case it is terrific to have these options available to use - in whole or in part - depending on your intentions.